When you sign up to parkrun one of the first things to do is print your barcode so you can have your run registered each week. 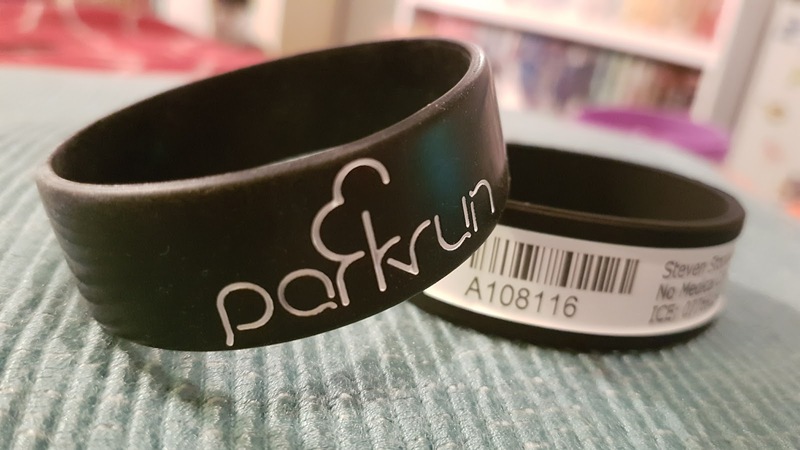 I believe that the standard printed barcode is the best option for staying true to the fundamental principles of parkrun and would recommend this option above all others. I would also recommend laminating it to avoid having to continually print out new ones every few weeks. However, some people might fancy something a little fancier, and guess what? There are plenty of options out there. You'll find some authorised suppliers from various different countries that host parkruns (four that I know of so far) who can cater for your needs, plus there are also some unauthorised options too. Usage: Fits perfectly into a wallet / purse. Not quite as popular as the key tag and wristband option as it's the least runner-friendly option from ERS. Notes: I keep mine in my wallet at all times. Design (new colour scheme) updated in November 2017. Usage: The key tag option has a hole for attaching it to a key ring or for threading your shoelace or a lanyard through the hole. Notes: After being attached to my car key (and taken out usually once per week). mine lasted about 6 months and then would no longer scan. I have had additional feedback from another runner - their key tag lasted just one month before becoming unscannable. Design (new colour scheme) updated in November 2017. Usage: Just slide it onto your wrist and you're done. Notes: Standard wristband or the new smoothband now available. Design updated in November 2017 (now includes sponsor's logo) - price remains the same. 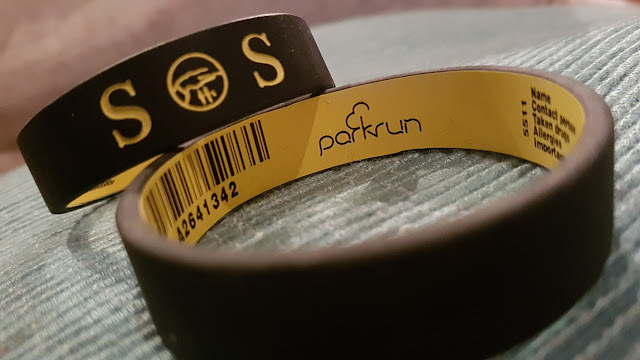 ERS supplied the official parkrun barcode range from launch until late 2017, when the supplier was changed to The Id Band Company. Usage: The disc comes with a hole for threading it onto something (keyring / shoelace etc). Initially I attached mine to my keys, however, I found that the soft texture of the disc was becoming damaged by the metal keyring. I have now threaded mine onto a lanyard string and wear it around my neck. Notes: The ordering process was a little difficult and involved transferring the total cost into the company's bank account. A better payment method (via PayPal / PayU) is currently being worked on. Once done, my wristband was sent out. There was an error on the barcode, but this was rectified swiftly when I contacted them about it. The barcode itself is great and it's scanning perfectly. Notes: I have not yet tested one of these so cannot comment further. Very similar if not identical to the UK version. Notes: I have not tested one of these so cannot comment on product quality etc. However I am not a fan of the preview photos on their website. Also from a personal point of view, the sizings are all too big for me with the smallest men's chest size option being 37" which sounds huge to me. Usage: Wear it around your neck on a chain, I suppose. Not sure how practical this is whilst running. Notes: I have not tested one of these so cannot comment on product quality etc. Sizes: Most popular smartphones - Apple, Samsung, Sony, Blackberry and HTC. Notes: I haven't tried one so cannot comment on product quality etc. Cost: £18 short sleeve / £20 long sleeve for a plain technical t-shirt with your barcode printed onto it or you can send a t-shirt of your choice to them and they will print the barcode onto it for £9. I'm pretty certain that the Little Hugs barcode key tags have been discontinued. However I have given them an honourable mention here because I think they were the first people to produce an alternative to the paper barcode and whether you agree unofficial suppliers or not, some of the options above may not yet have been created if it wasn't for Little Hugs. 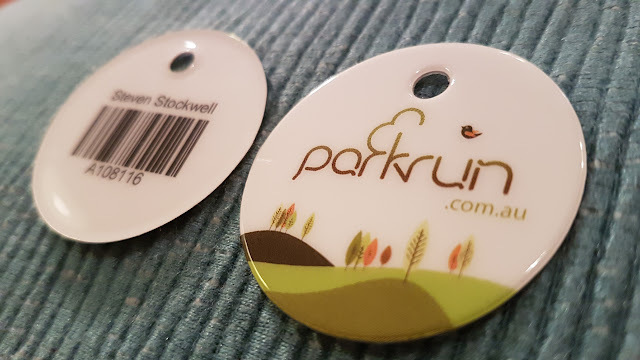 The standard printed barcode will most probably remain the most popular option for the majority of parkrunners for the foreseeable future and rightly so - it is the option that most closely represents one of parkrun's core values - free! The other barcode options are fun things to have and are a novelty for a while. However, after an extensive period of testing these different options, I still keep going back to my original laminated barcode, which I always keep inside my phone's sports arm band. This is the same laminated barcode that I took with me to my very first parkrun back in May 2011. I should point out that the views here are my own, I do not work for any of the companies involved in producing the barcodes and I do not work for parkrun. This is simply a round up of the barcode options that I am aware of. The prices and options may change without me noticing so please refer to each supplier's website for up-to-date information.